Rorie and Bart launch The Discover Small Town America Tour 2 weeks from today. 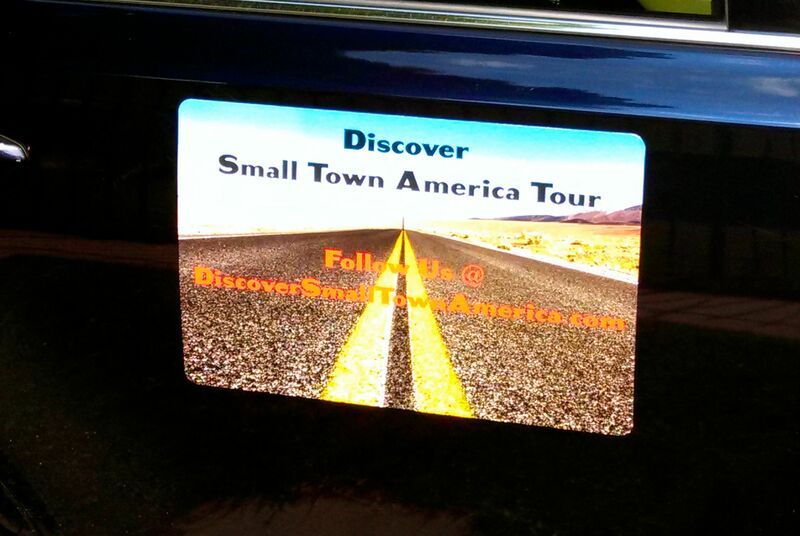 We hope you’ll share our blog link for the Tour with your family and friends (http://discoversmalltownamerica.com). This will help us get more advice from more people about “extraordinary people doing amazing things in off-the-beaten path places” we can spotlight. Tell them to wave, honk or say “hi” if the see our car (with this sign) in their town or on the road. Thanks for the recommendation. Spearfish looks like an awesome place. Hope everyone checks out this website to learn more – http://www.visitspearfish.com. Although we won’t be visiting S.D. this trip, we will add Spearfish to our itinerary for a future Small Town America Discovery tour. Rorie and Bart–I am so excited for your adventure. Alison told me about it today! This will be a highlight of my summer!!! !